If you’ve been holding off on setting up a Kodi-based media center computer because they’re loud, expensive, don’t fit in your media rack, the Raspberry Pi is your savior. For only $35 (plus a few accessories you may have lying around), you can get a small, efficient computer that can play all your media from one beautiful, couch-friendly interface. This guide assumes you’re at least somewhat familiar with the Raspberry Pi and Kodi, so if you aren’t, be sure to check out our complete guide to the Raspberry Pi and read up on Kodi before continuing. You’ll also need a mouse and keyboard for some of the initial setup, a PC you can use to install Kodi to your SD card, and—if you want—a remote and infrared receiver for couch-friendly control. We like the FLIRC paired with a Logitech Harmony 650. All told, these parts may run you more than the advertised $35 if you need to buy them all, but chances are you have some (if not all) of this stuff lying around, so you may be able to get by with very little. Again, you can read more about gathering these parts up in our complete guide to the Raspberry Pi. Installing Kodi on a Raspberry Pi isn’t quite the same as installing it on a Windows or Linux machine. Instead of installing an operating system and then installing Kodi on top of that, you’ll generally install an all-in-one package that just delivers Kodi and the bare essentials. The underlying operating system may still be some variant of Debian Linux, but optimized to bring a powerful, lightweight version of Kodi to your TV screen with little effort. There are many different builds of Kodi for the Pi, but these days, we recommend LibreELEC. It’s incredibly lightweight, well-maintained with updates, and popular, so you’re sure to find help along the way if you need it. If you don’t like it, there are other options, such as OpenELEC (the precursor to LibreELEC), OSMC (the successor to the now-defunct Raspbmc), and XBian. 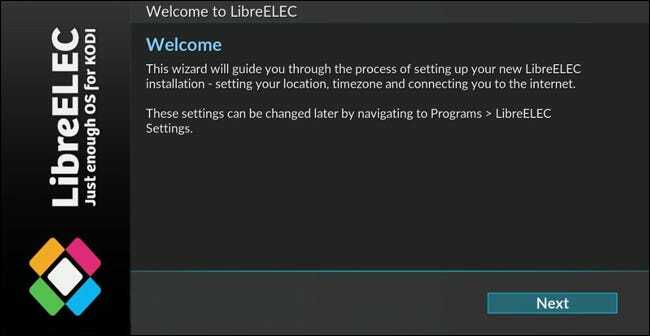 Installing them will be very similar to installing LibreELEC, so you should be able to follow most of the instructions below. The first step takes place on your PC. 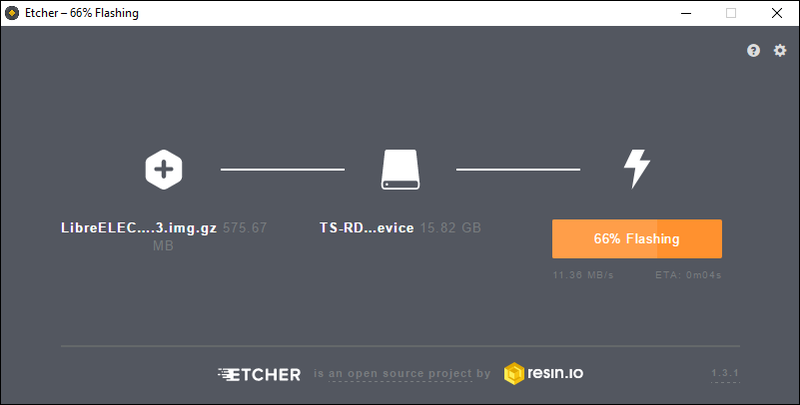 In our testing, LibreELEC’s standalone installer didn’t work, so we’re going to create our SD card manually using Etcher, a free program for Windows, macOS, and Linux. 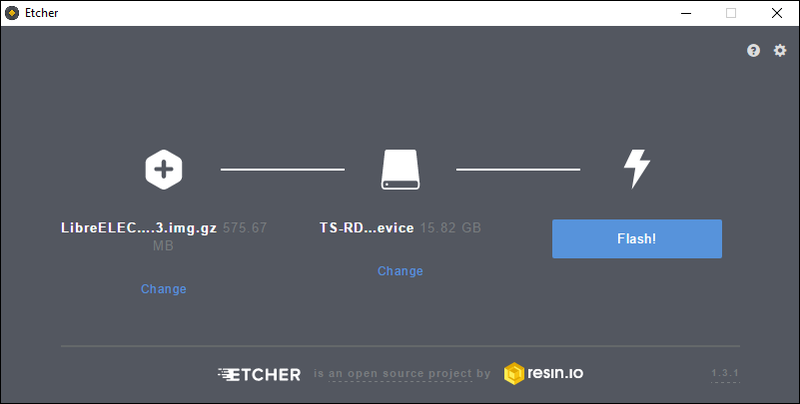 Head to Etcher’s home page and download the version for your operating system—if you’re using Windows, we recommend the portable version, since you don’t have to install it. Next, head to LibreELEC’s download page and scroll down to the “Direct Downloads” section. Select “Raspberry Pi v2 and Raspberry Pi v3” from the dropdown (unless you’re using the Raspberry Pi 1 or Zero, in which case select that option instead. Then, scroll down and click the link to the .img.gz file for the platform you just selected. Once the file downloads, start up Etcher. 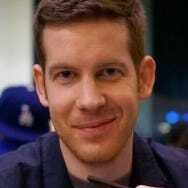 Click “Select Image” and then choose the .img.gz file you just downloaded. Then, click the “Change” link under the second step to make sure Etcher has selected the right device. 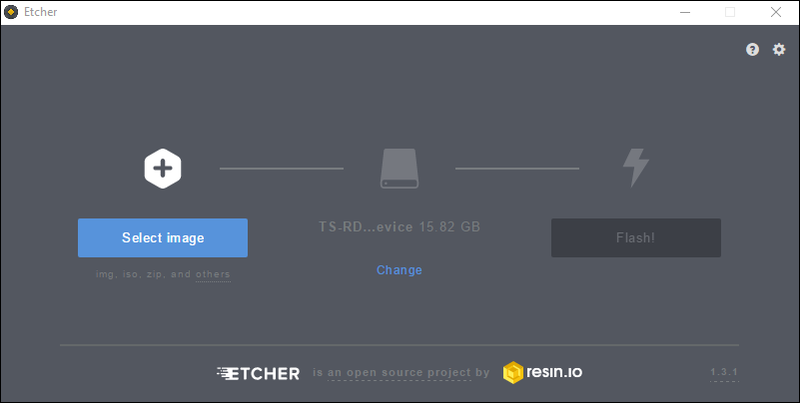 In our case, it’s a Transcend SD card reader with a 16GB SD card in it, so Etcher chose wisely. When you’re done, click the “Flash!” button. It’ll take a minute or two to complete the process. You may get a popup error about Windows not being able to read the drive, but don’t format it! This is normal, since the resulting SD card will use a Linux filesystem. Just close that window and continue on with the below steps. 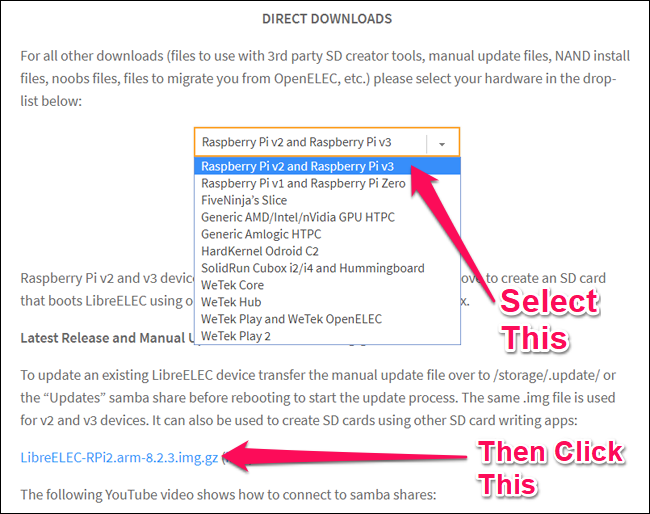 When it’s finished, eject your microSD card and gather up your Pi hardware. Pop your microSD card into your Raspberry Pi, and hook it up to your TV with the HDMI cable (and plug in the ethernet cable, if applicable). Then, plug the power supply into your Pi and a standard wall outlet, and it should start up. You should see the LibreELEC splash screen appear on your TV. Give it a few minutes on first boot to create the necessary folders and get everything in order. You’ll be presented with the traditional Kodi home screen, with a LibreELEC popup to walk you through initial steps like setting up your time zone. This should be all you need to get up and running—almost everything from here on out is the same as setting up Kodi on any other box. You can add new videos to your library, control playback with a remote (or the official remote apps for iOS and Android), and do other advanced stuff—like sync your libraries with MySQL or Control Kodi with an Amazon Echo. If you’re using network sources and/or MySQL for your video library, you may want to head to Network > Advanced Network Settings and enable “Wait for Network Before Starting Kodi”. This ensures that the library appears properly when you boot up. Under Services, you can enable or disable Samba and SSH, which are useful for accessing your Pi from other computers on your network. Samba lets you view and edit files (useful for editing Kodi’s configuration files), while SSH is useful for command line troubleshooting. Apart from some basic setup, though, you should be off to the races! You can customize Kodi to your heart’s content just like on any other platform—get new skins, install add-ons, and meticulously organize all your movies and shows (and when you’re done, clone the SD card for foolproof backup). The sky’s the limit, and it only cost you $35.